DotNetBrowser 1.10 is available for download. 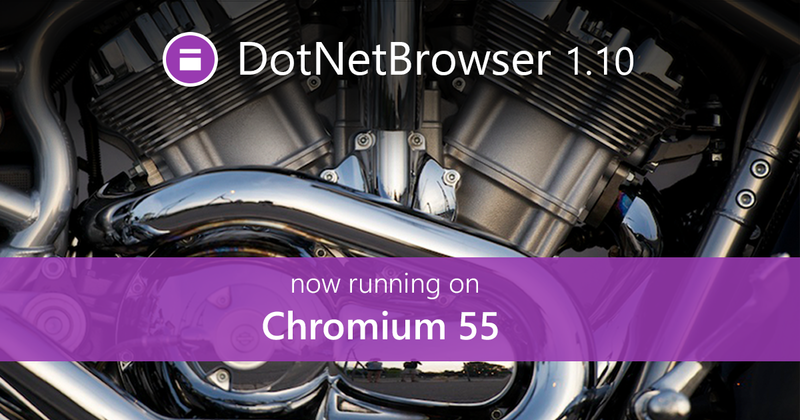 Today we are glad to introduce the long awaited upgrade: now DotNetBrowser runs on a more powerful browser engine – Chromium 55.0.2883.87. But we did not stop there, check the full list of improvements in this update on the Release Notes page. We’d love to discuss your thoughts and comments on the new version via email or under #dotnetbrowser tag on Stack Overflow. 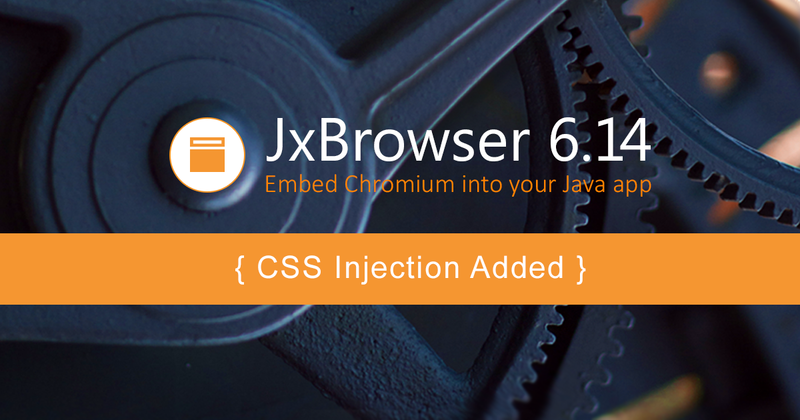 We are pleased to announce the availability of JxBrowser 6.14 with long-awaited new features such as CSS and custom SSL certificate injection. Apart from extending JxBrowser API with new functionality, this update includes a bunch of fixes and improvements. Read more about the JxBrowser release highlights here. The update is available for download on a product page. Let us know what you think about the new version via support portal or ask your questions under #jxbrowser tag on StackOverflow.